Oakland Strokes traveled to sunny San Diego to race at the annual San Diego Crew Classic! Regarded by many as the first major regatta of the year, the San Diego Crew Classic brings together thousands of athletes from more than 100 universities, clubs and high school programs from across the United States to participate in this premier rowing event. 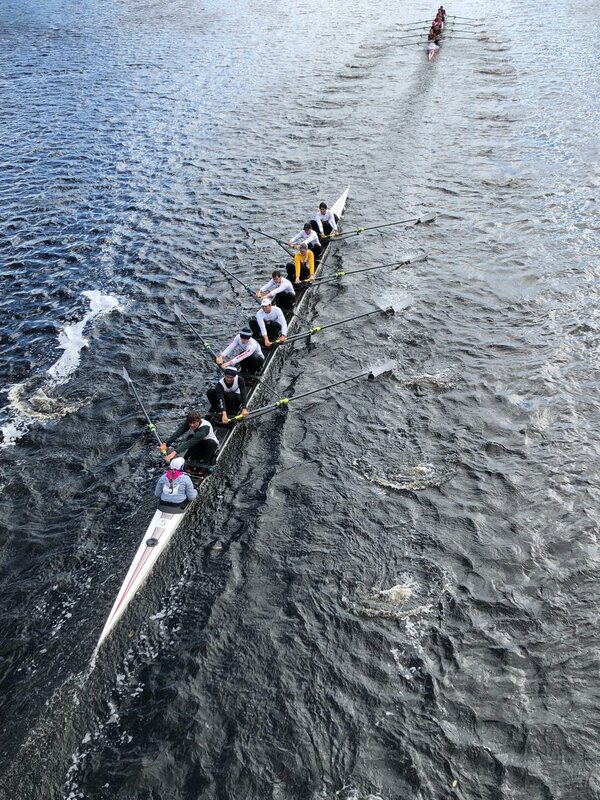 The Strokes sent five Varsity and two Novice crews south to San Diego to compete. Results include 3rd place finishes in the Men’s Novice 8+ and Women’s Lightweight 8+, 4th place finishes in the Women’s Varsity 8+, Men’s JV8+, and Men’s Lightweight 8+, a 7th place finish in the Men’s Varsity 8+ and 8th place finish in the Women’s Novice 8+. You can find results from the event here and pictures here. Our varsity and novice squads also raced on our home waters on the Oakland Estuary at the 510 Sprints against various local teams including Artemis and St. Ignatius. You can find results from 510 Sprints here. The 2019 Battle of the Bay took place on the Oakland Estuary with crews racing from Marin, Pacific and St. Ignatius. You can view results on HereNow. Oakland Strokes kicked off its 2019 racing season by hosting the 2-day Faultline Faceoff at San Pablo Reservoir on February 23-24th. With teams representing the entire Southwest region, Faultline Faceoff has grown into one of the largest junior regattas on the west coast! A big thank you to all of our volunteers who helped make this event successful! Strokes Travel to Seattle and Chattanooga! Both the men’s and women’s teams traveled this past weekend to two of the larger head races in the country — the men raced at Head of the Lake in Seattle, WA and the women raced at Head of the Hooch in Chattanooga, TN. The men raced in the Men’s Jr 8+ event and Boy’s U17 8+ events, placing 2nd and 3rd in the Jr 8+ and 3rd in the U17 8+. You can see results on RegattaCentral here and here. Check out pictures from the event here. The women entered a number of events over the weekend at Head of the Hooch, including 2 Women’s Youth 8+s, 2 Women’s Youth 4+s, a Women’s Lightweight 8+, and a Women’s Lightweight 4+, with the Lightweight 8+ winning Gold! You can see all results over on HereNow. Congratulations to both of our teams on some great racing in fast fields! Many crews are excited just to have the chance to row at the Head of the Charles. However, for the past several years the youth rowers from the Oakland Strokes have been competing for victories in the Youth Eight event. In a race where the finishing in the top ten is considered an accomplishment, the Strokes’ four victories in the Men’s and Women’s Youth Eights the last six years puts them in rare company. For this year’s squad Coach de Regt pulled from his 2018 National Championship crews, including from the Gold Medalist Lightweight Eight and Silver Medalist Varsity Eight. Their experience paid off, battling the conditions to finish fifth out of the 85 entries. 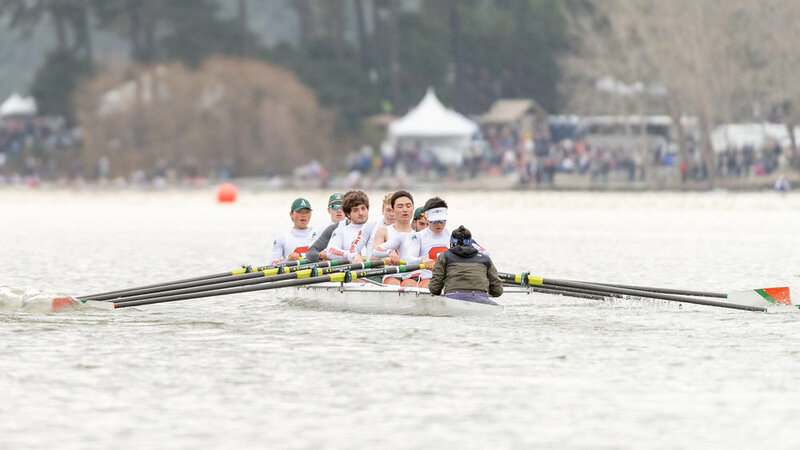 Despite not having the cleanest run down the course, the Strokes finished well ahead of their Californian rivals from Marin, Norcal (Redwood City), and Los Gatos. The Men’s Youth 8+ boat was comprised of Ryan Tripp (Piedmont HS), Adrian Layer (Piedmont HS), John Mark Ozaeta (Miramonte HS), Matthew Boranian (Head-Royce), Richard Reid (St. Joseph Notre Dame Alameda), Andrew Simpson (Berkeley HS), Andrew Stoddard (Piedmont HS), Carter Young (San Ramon Valley HS), and coxswain Audrey Gates (Miramonte HS). The Oakland Strokes are a rowing club for High School and Middle School students. The Strokes have won 19 National championships since their inception in 1974. Most Strokes athletes have never rowed before joining, and in a few years many are competing at the national level. Oakland Strokes is still welcoming new middle school and high school rowers for this season. Interested families can attend their Open House on November 10th from 11am-12pm at Tidewater Boathouse in Oakland and learn more at OaklandStrokes.org. Oakland Strokes kicked off the Fall 2018 racing season yesterday with a head race on our home water with crews from North Bay, St. Ignatius, Artemis, OARS, East Bay, and Pacific all in attendance. Additional photos also posted here! The Oakland Strokes rowing team capped off another incredible year by winning a National Championship, two silver medals, and an 11th place finish at the Youth National Championships. Hosted by the United States Rowing Association, the event awards National Championships in nine different boat classes for high school aged men and women. This year the event was raced on Lake Natoma near Sacramento, CA on June 8-10. 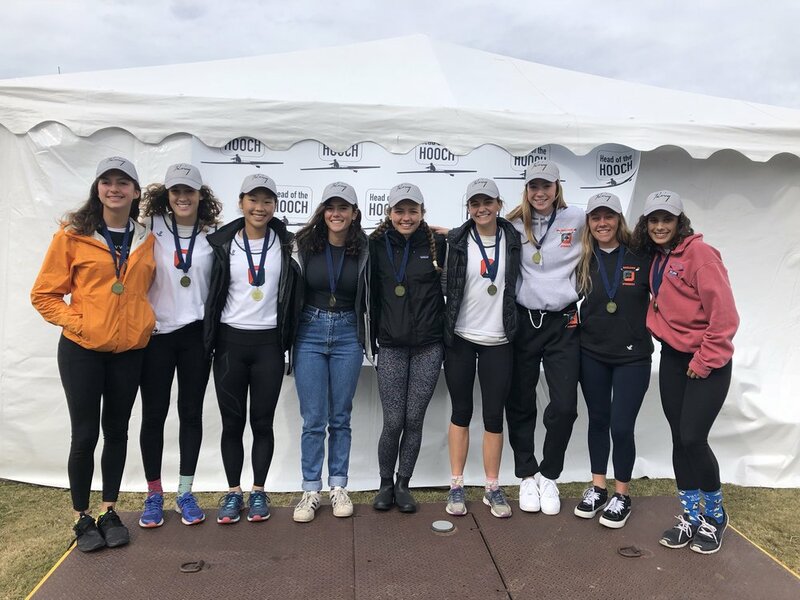 The Oakland Strokes rowing team brought four squads to the race, who had earned qualification through their performance at the Southwest Regional Championship in early May. The Women’s Varsity Eight finished the weekend with a fifth place finish in the B final (11th overall). The eight was the first women’s varsity eight from Oakland to qualify for Nationals since 2014 and fought hard all weekend long as noted by head coach Allison Ray, “The V8 raced with composure and resilience all weekend. This crew has demonstrated the true meaning of team at every step along by the way and we are so proud of their performance." The Oakland Strokes are a rowing club for High School and Middle School youth that serves the East Bay, Lamorinda, and San Ramon Valley areas. The National Championship won by the Men’s Lightweight Eight marks the nineteenth National Championship since their inception in 1974, with twelve championships won in the last ten years. Most of Stroke’s athletes have never rowed before joining, and in a few years many are competing at a national level. “What makes this club exceptional is the community of coaches, parents, and other supporters that have come together to enable the young men and women on our club to learn, grow, and flourish. It is truly remarkable what they can achieve with the right support!” notes Dana Hooper, Managing Director. To find out more about the Oakland Strokes Rowing programs, visit www.oaklandstrokes.org. The Oakland Strokes traveled to Southern California for the first ever running of this event. Held on the lake planned as the 2028 Los Angeles Olympics course, this event featured great racing by the Strokes! 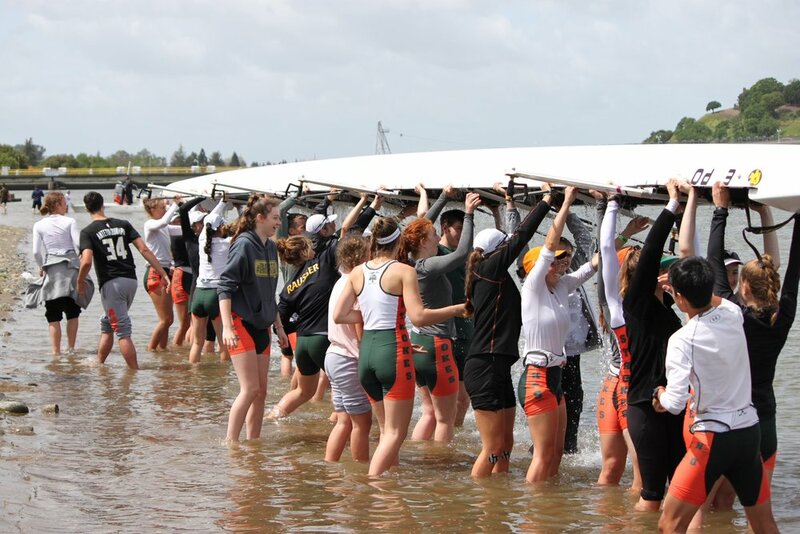 A rare strong wintery April storm made its presence known at this year’s Lake Natoma Invite, providing challenging conditions for the Strokes crews in the morning before finally shutting the regatta down early due to high winds. Regardless, the Strokes worked hard to take advantage of the opportunity to race on this championship course.